AAPS PharmSciTech, an official journal of the American Association of Pharmaceutical Scientists, publishes papers that focus on the research, development, and evaluation of pharmaceutical dosage forms and delivery systems. Innovative in its content and practices, AAPS PharmSciTech, an online-only journal, uses technologically-driven tools and methods by which the scientific community can more efficiently disseminate their research. 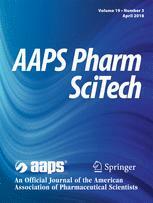 AAPS PharmSciTech is a peer-reviewed, online-only journal committed to serving those pharmaceutical scientists and engineers interested in the research, development, and evaluation of pharmaceutical dosage forms and delivery systems, including drugs derived from biotechnology and the manufacturing science pertaining to the commercialization of such dosage forms. Submission of uninvited expert reviews and research articles are welcomed. Editor-in-Chief Robert O. (Bill) Williams III, Ph.D., is a professor at the University of Texas at Austin. He oversees a strong international group of editors and editorial advisory board. Learn more about the editors and editorial advisory board on the Springer website.